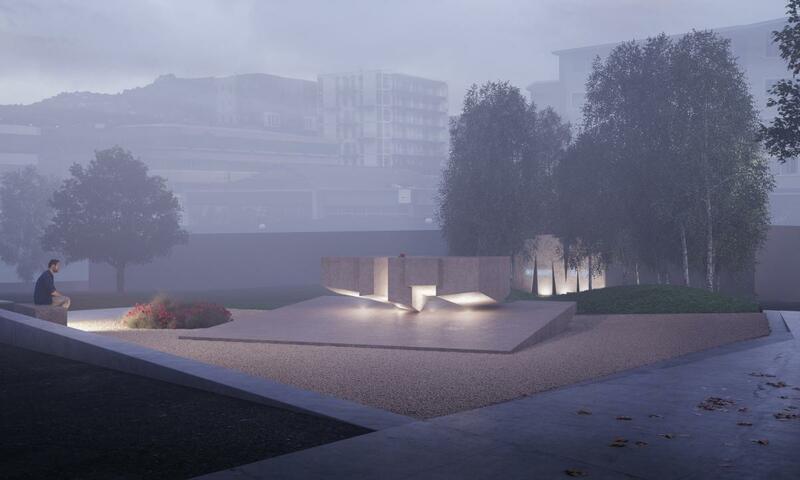 Arts, Culture and Heritage Minister Maggie Barry has welcomed the choice of design for the French memorial at Pukeahu National War Memorial Park in Wellington. “On Armistice Day, it’s fitting the chosen design has been unveiled,” Ms Barry says. “The memorial, Le Calligramme, was designed by the award-winning Auckland firm Patterson Associates and takes inspiration from the work of French poet Guillaume Apollinaire. Le Calligramme was chosen ahead of three alternative designs by an expert panel led by French Ambassador Florence Jeanblanc-Risler. Designed by Auckland-based architectural firm Patterson Associates Ltd, with Paul Baragwanath and Suzanne Turley Landscapes, Le Calligramme evokes the bonds forged between New Zealand and France with a simple and striking design in Caen stone inscribed with Apollinaire’s poem Le Chant de l’Honneur. Veteran’s Affairs Minister Craig Foss will unveil a plaque for Le Calligramme with French Secretary of State for Veterans and Remembrance, Jean-Marc Todeschini, on 18 November at Pukeahu. “It will be an honour to have my French counterpart here for the unveiling,” Mr Foss says. Construction of the memorial will begin next year with inauguration intended in 2018.